Employee can transfer their EPF account online by following a set process. Transfer of the EPS should be done as soon as an Individual is changing the job. With the advent of Universal Account Number and online Provident Fund transfer methods it has become easier to transfer the PF account. Further, the employee can also withdraw the PF balance without the need of consent from the employer. An individual will require to fill a physical form and it will be forwarded by the employer to the EPFO. Thereafter, EPFO will send the form to the previous employer. Once, the previous employer receives the form, he will authenticate it and send back to EPFO. EPFO will then transfer the money from previous account to the current EPF account. You should be prepared to wait for sometime because the offline process takes more time compared to online mode. Form 13 will be required for those who want to fill the EPF online transfer claim physically. The Form will ask for the details of previous employer as well as EPF account number. 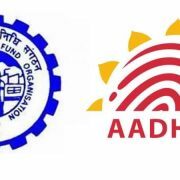 For quick processing, employee should prefer online method of EPF transfer as there is no need for the physical form. The process will be same as offline but it will take less time to get the approval of the previous employer and fund transfer thereafter. Name, date of birth and Father’s name is mentioned in the EPF account. Registration process is completed after the OTP is entered. An individual can check the status of the request made online. One can visit the OTCP portal, login and check the status. If this page is not accessible then you can check the status through EPF status check facility of EPFO. In case you are not satisfied with the results shown in both the pages, visit EPF grievance portal.